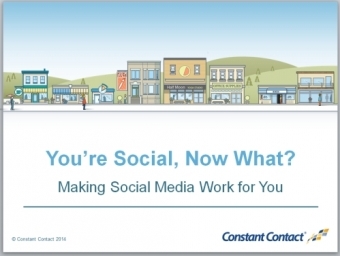 Social Media 102: You're Social Now What? You've thought about what social networks to use for your organization, and you're ready to take the next step. Where do you go from there? This seminar will give you a closer look at the popular social media networks – Facebook, Twitter, LinkedIn, Pinterest, and Google+. We'll show you the benefits of using each, how other organizations are marketing with them, and some dos and don'ts of each channel.